In 2013, I was pleased to be featured in a 4-part series on a radio show called Character Matters! with Bob Vasquez the US Air Force Academy’s KAFA-FM radio. CMSgt (ret) Bob Vasquez was a fabulous host, and we had a great conversation about leadership. You can subscribe to his feed on SoundCloud here. We talked about my Leading Leaders philosophy: Integrity, Respect, Teamwork, Leaders Lead, and Little Things Matter. Back then, my Leading Leaders book was still in draft and the working title was “Foundational Leadership,” but the concepts were the same as what appeared in the final copy. I’ll post these each week for the next four weeks–they’re short and thoughtful conversations on leadership. Enjoy! One final bit of business. I’m posting these for the education and entertainment of my readers. KAFA-FM gave me permission to post these, and I want to be clear that by posting this here there is no implied or explicit endorsement by the US Air Force Academy, the Air Force, or the Federal Government. The views expressed in this broadcast and my book are mine and do not reflect the official policy or position of the United States Air Force, the Department of Defense or the U.S. Government. 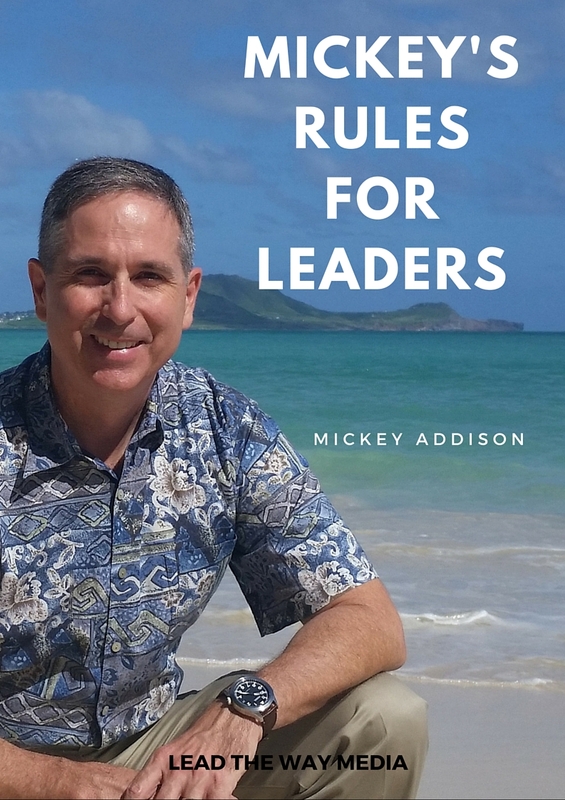 Mickey is the author of seven books, including Leading Leaders: Inspiring, Empowering, and Motivating Teams and The 5 Be’s For Starting Out. He’s a frequent contributor to industry publications and writes for his own blog and GeneralLeadership.com.